Improvement of soil quality and plant vitality. Natural hygienizer. Ema5™ is a specially prepared composition of microorganisms based on SCD ProBio Original® which undergoes additional fermentation with wine vinegar and alcohol. 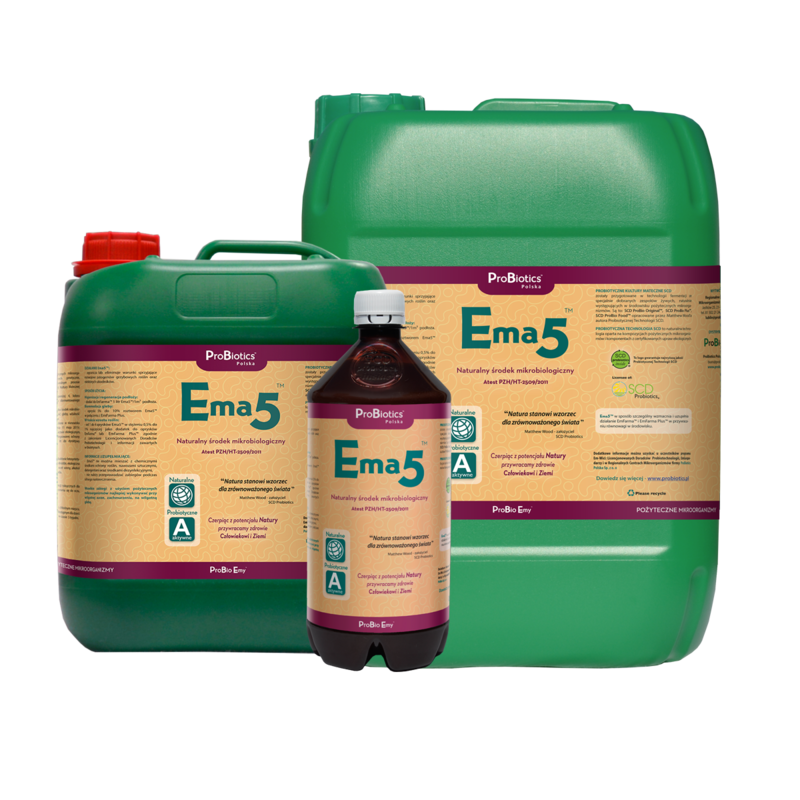 Ema5™ is characterized by its effectiveness in reducing or eliminating fungal pathogens and ceratain pests. 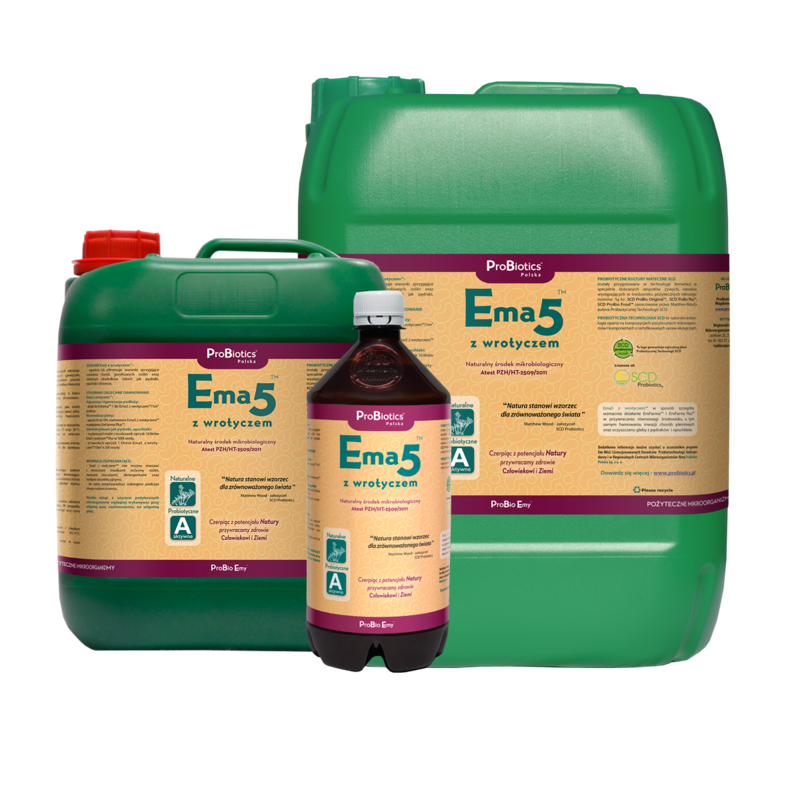 Ema5™ strenghtens and complements EmFarma™ and EmFarma Plus™ in restoring balance in the environment. Lactic acid bacteria, photosynthetic bacteria, fermenting fungi, yeast, organic sugar cane molasses, wine vinegar, ethyl alcohol, purified and structured, unchlorinated water. Soil and plant conditioning, accelerating decomposition of organic matter, neutralizing odors. Improvement of soil quality and plant vitality, natural hygienizer, pest repellent.